Stefan, Wayne, Ian and Steve thanks for a great experience guys. I’ve had a blast on this Ho Chi Min Trail trip, now back to reality and time to plan the next adventure, really hope that some of you can make it over to Oz sometime and we can show you around. 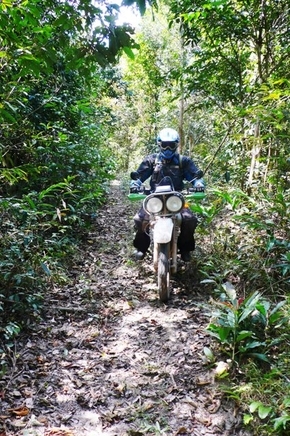 And thanks Explore Indochina for a unforgettable adventure that most westerners don’t get to see. Now I’m off to the hospital for some x-rays!